In July 2018, a mental-health team for people who are homeless stopped taking referrals. Research shows high rates of self-harm among those who are homeless. Many struggle with severe mental-health difficulties. Yet it’s unclear if the Assertive Community Care Evaluation Service (ACCES) team – which operates out of Parkgate Hall – is taking referrals again, eight months later. A spokesperson for the Health Service Executive (HSE) and the head of the HSE’s mental-health service have given different stories. Even that lack of information is an indictment of how services are working for homeless people, says Fianna Fáil TD Darragh O’Brien, the party’s spokesperson on housing. “The idea that our homeless services won’t be taking referrals for people who are really in need and saying off you go to A&E,” he said. “You can see how haphazard the services are for those who are incredibly vulnerable in that situation,” says O’Brien. The ACCES team, which is based in Parkgate Hall alongside Dublin Region Homeless Executive (DRHE) north of the river near the tip of Phoenix Park, provides care to homeless people with severe and enduring mental illness. “That is patients with schizophrenia, bipolar disorder, psychosis with or without substance misuse problems,” wrote Kevin Brady, the HSE’s head of mental health in a letter to Fianna Fáil TD James Brown on 19 February 2019. 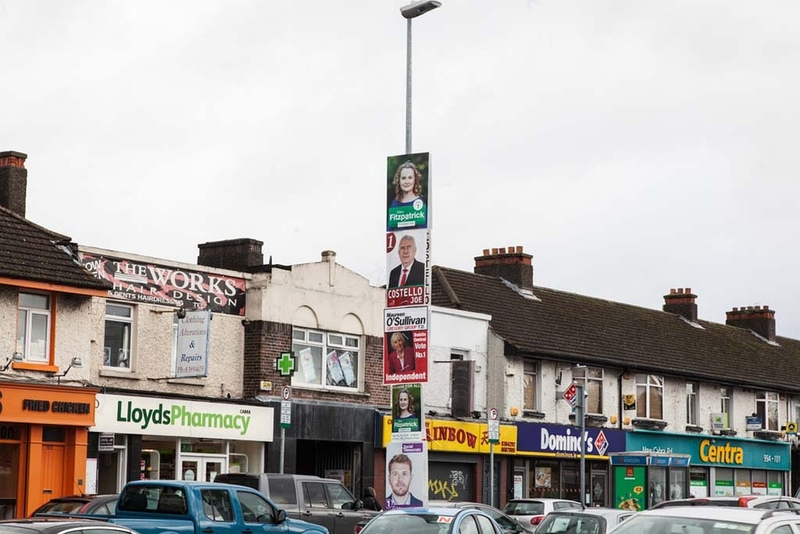 That the team wasn’t taking referrals was first raised in the Dáil on 6 November 2018 by Sinn Féin TD Pat Buckley, and again on 27 November. At the time, independent Minister for Disability Issues Finian McGrath said the HSE had told him there were “vacancies at psychologist, social worker and occupational therapist levels”. The psychologist was on maternity leave and due back in March 2019, the HSE was trying to recruit a new social worker, and the occupational therapist had been appointed and was awaiting a start date, he said. A HSE press spokesperson said last week that the team had been accepting new referrals since January this year after “the approval of short term locum posts along with staff returning from leave”. But that contradicts the 19 February letter from the HSE’s head of mental health, Brady, to Fianna Fáil TD and mental-health spokesperson, Brown. The team hasn’t been accepting referrals since July 2018, it said, “as there has been a significant shortage of staff”. “The HSE is engaging in ongoing recruitment processes to enable the ACCES Team to reopen the referral process,” it said. In other words, referrals were still closed at that time, it seems. The letter also hints at how under-staffed the team is, based on how many people are coming to them for help. The team is looking for 8.5 more “whole-time equivalent” workers – in other words, the hours add up to 8.5 full-time staff, the letter says. So they can meet demand for the services in the area. At the moment, Brady writes, the team has 1.6 community mental health workers and 1 social worker. It also has 0.6 of a consultant psychiatrist, and 0.6 of a non-consultant hospital doctor. “The team currently has 1 WTE Psychologist on Leave and is due back March 2019,” the letter says. According to a HSE spokesperson, the HSE is currently recruiting for “a Social Work post for the ACCES team”. A psychology post is also due to be filled in the coming week, says the spokesperson. The ACCES team provides specialist services that generic community mental-health teams can’t, says Ray Burke, communications and advocacy officer for Mental Health Reform Ireland. Patients don’t have to provide an address, for example, says Burke – unlike those going to community mental-health teams. As well as this, the ACCES team do “inreach” into homeless services, into the likes of Focus Ireland and Dublin Simon. There hasn’t been any correspondence between the HSE and DRHE – which share the building with the team – about the ACCES team and the lack of services, according to responses to requests under the Freedom of Information Act. The HSE didn’t directly address a query as to whether the lack of correspondence suggested it isn’t taking these mental-health services seriously. A spokesperson, by email, said the HSE has two specialist mental-health teams, in north and south Dublin, for the homeless population. The spokesperson pointed to services such as SafetyNet, a primary-care team, which provides medical care to those who are homeless, Merchants Quay, and the Simon Community Step Up Step Down programme. Philip Menton, a homeless man who suffers with bipolar disorder, says he has been waiting since last summer for specialist dialectical behaviour therapy and that the above programmes are not enough for people with more complex mental-health issues. The HSE spokesperson said it couldn’t give figures for how much funding – which comes from HSE Mental Health and HSE Social Inclusion – the ACCES programme got in the last few years. “That information is not collated centrally so therefore unavailable,” they said.